– What are the core themes and principles of Bring Your Whole Self to Work? – What inspired you to write this 4th book? – What’s the difference between recognition and appreciation? – You talk about the “authenticity continuum” and the “authenticity equation” – can you explain what those are and why they are important? – You write a lot about vulnerability in your book, why is that so important? – Not only do you write about the concept of vulnerability, you write about yourself and your life in an incredibly vulnerable and personal way in this book (and all of your books). Is it scary to open up like that in such a public way? – You write about the death of your sister Lori in the introduction of the book. You’ve had some significant losses in your life, what have you learned from these losses and what can people do who are going through loss and still have to get up and go to work everyday? – You speak all over the world and have clients like Google, Wells Fargo, Microsoft, Gap, eBay, Schwab, and others – what have you learned from working with these companies over the past 17 years? – Why is emotional intelligence to important? – What can leaders do to build more trust with their teams and encourage a healthy team culture? – You talk about being a “championship team.” What does that mean exactly and how can groups become such a team? – What are some specific practices people can use to bring their whole selves to work? – What have you learned from the guests you’ve had on your Bring Your Whole Selves to Work podcast over the past two years? – How has your background in sports help shaped the way you think about leadership, business, and teamwork? – What companies are getting it right in terms of culture, leadership, and success these days? 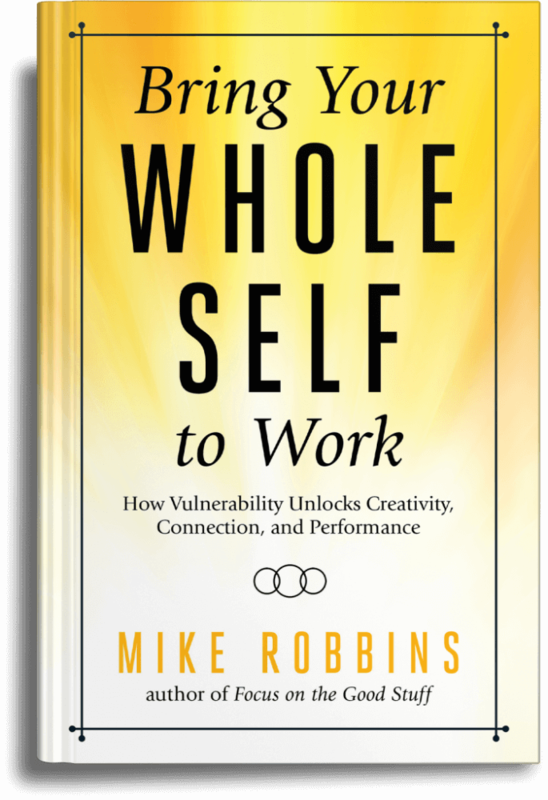 – What makes it hard for us to bring our whole selves to work? – In the era of #MeToo do you think it is easier or harder for people to bring all of who they are to work? How different is it to do this for men, women, people of color, and others? – How does all of this relate to the current political climate? – Is it okay to cry at work? – Won’t being vulnerable at work have people take advantage of us?